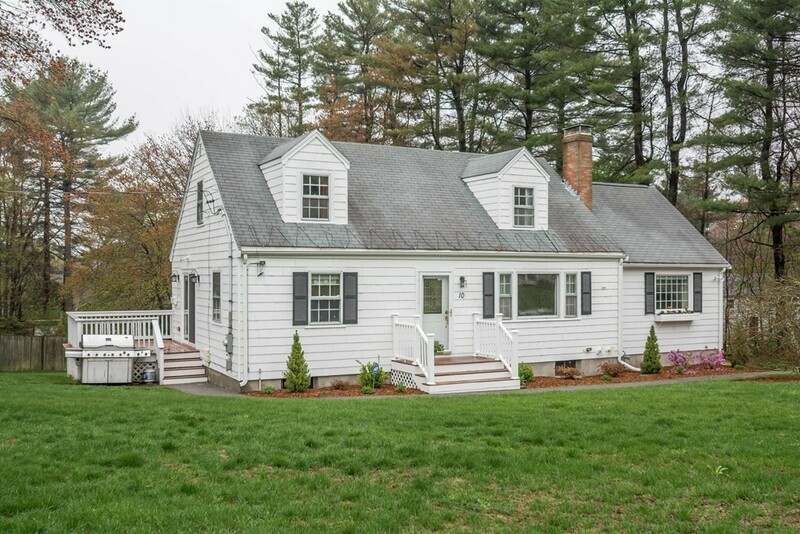 Updated Open Concept Cape Style Home has so much to offer! Meticulously maintained inside and out. Set beautifully on a professionally landscaped Corner Lot in an incredibly desirable neighborhood! Boasts 1st Floor Master Suite, Great Entertaining Flow, Beautiful Large Yard, Newer GAS Heating System, and remodeled Kitchen. Enjoy Stainless Steel Appliances, Granite Countertops, Drop In Gas Range and Gorgeous soft close Cabinets in a Dark Cherry Finish. Newer slider with built in blinds, perfect for privacy, easy cleaning and conveniently accessing the updated deck for all your outdoor fun and barbecuing. Hardwood Floors throughout the main level, 2 tiled baths, Wood Burning Fireplace in the Family Room, two additional bedrooms on the second level, along with a walk-in storage room. A walk out basement, a large shed, and spacious parking complete this home! 4 BEDROOM SEPTIC (Passed Title V) - Easy Potential for Expansion if desired! You wont want to miss this home! Call today!